Liverpool have returned to the top of the Premier League after beating Chelsea 2-0 at Anfield. After a goalless first-half, the hosts opened the scoring thanks to Sadio Mane who headed home from a Jordan Henderson cross in the 51st minute. The Senegalese attacker has now scored 18 league goals this season as he continues to enjoy a prolific campaign. Mohamed Salah then doubled his side’s lead in truly stunning, stunning fashion. He unleashed a 25-yard rocket from his trusted left-peg. ‘The Egyptian King’ is also in fine form in front of goal. He’s chipped in with 19 league goals, level with Sergio Aguero as the leading scorer. 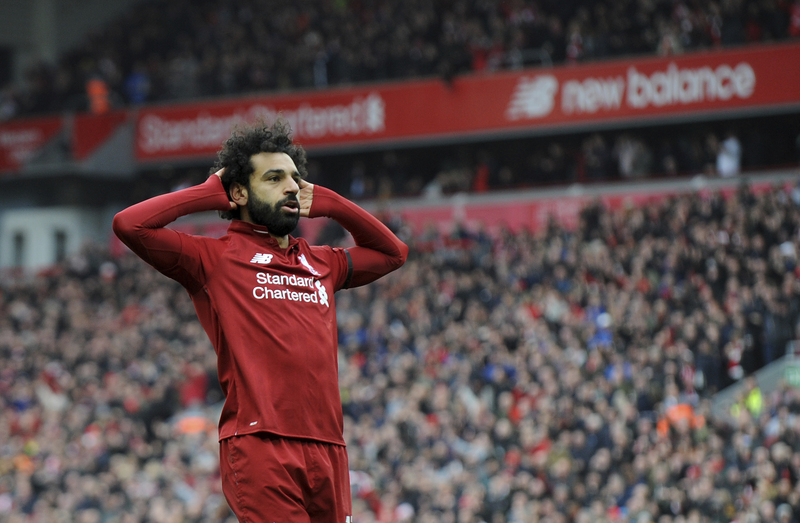 :soccer:Mohamed Salah has ended his longest run without a goal for Liverpool at Anfield (5 appearances), scoring his 1st home goal since February 9. Liverpool leapfrog Manchester City to first place with 85 points on the board. They have four league games left this term. City, who beat Crystal Palace 3-1 at Selhurst Park on Sunday, have 83 points to their name with a game in hand over Liverpool. The Premier League run-in is hotting up. Nasir Jabbar is a journalist at SPORTbible. He graduated from Bath Spa University with a BA in Media Communications. He’s a combat sport aficionado, and has contributed to MMA websites AddictedMMA and CagePotato. Nasir has covered some of the biggest fights, while interviewing the likes of Conor McGregor, Michael Bisping and Anthony Joshua. He’s also an avid Bristol City fan.